Please enter your details to ensure you are making a payment to the correct account. 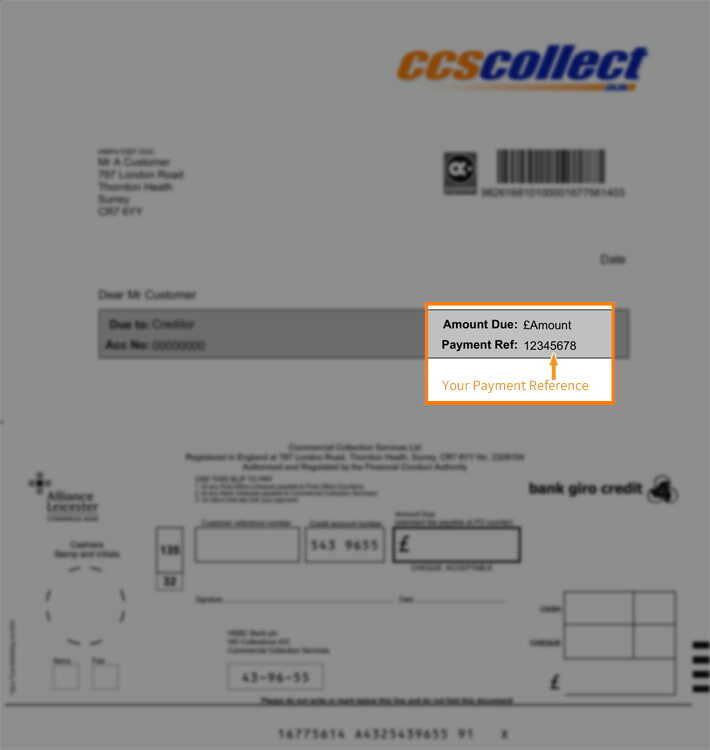 Your Payment Reference (show me) can be found on the letter you received from us and the post code should match the address we have on file for you. If you do not have a Payment Reference please call us for assistance.